Logitech announced the launch of the Logitech Zone Wireless and Logitech Zone Wireless Plus Headsets, created from the ground up for people working in an open office environment. 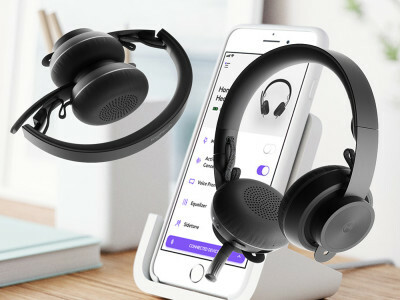 Leveraging Logitech’s deep audio expertise, the Zone series of headsets allow users to take conference calls, listen to music, or block out distractions with active noise cancellation (ANC). The Zone Wireless range are also the first business headsets to offer Qi wireless charging, providing convenient charging at the user’s desk. 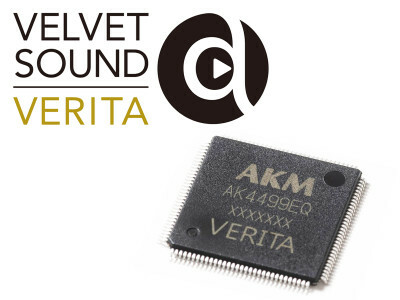 Asahi Kasei Microdevices Corporation (AKM) will show its latest flagship Velvet Sound Verita AK4499 32-bit audio D/A Converter (DAC) at the High End 2019 show in Munich, Germany. A newly developed IC manufacturing process was adopted in this flagship DAC to deliver the best sound quality so far in the company's range of products, achieving -124dB THD+N and 140dB S/N. The AK4499 is also the first among AKM products to use a new current output architecture. AKM will also demonstrate its new ultra-low power HiFi D/A converters for Bluetooth headphones, AK4331 (stereo) and AK4332 (mono). 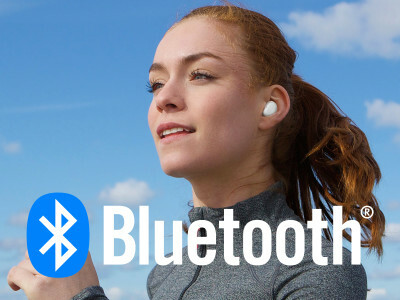 Bluetooth Low Energy (BLE) devices are forecasted to reach over 1.6 billion annual shipments by 2023 according to market research firm ABI Research. Increasing opportunities in smart home, beacons and asset tracking, emerging IoT applications, alongside growth in existing key markets and the emergence of audio over BLE will enable the technology to achieve a CAGR of 27% between 2018 and 2023, tripling in size. French software synthesizer and emulation experts Arturia have successfully transitioned to manufacturing hardware products, with a range of keyboard, controllers and even hardware synths that are unique in the industry and deserve high praise. In 2014, Arturia announced the company would introduce an audio interface, against the sound advice of... everyone. After two painful years, Arturia finally released its AudioFuse USB 2.0 desktop interface. Three years later, Arturia announced AudioFuse Studio, and AudioFuse 8Pre. 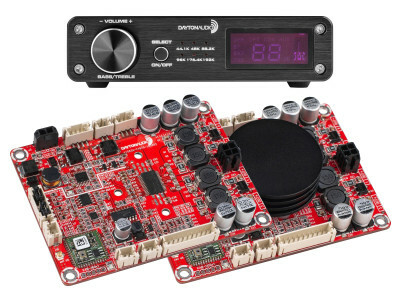 Dayton Audio continues to expand its portfolio of wireless audio solutions with the introduction of new KAB Class D amplifier boards with Bluetooth streaming, to support any speaker build, or audio project for DIY enthusiasts or OEMs. Dayton also introduced a new updated version of one of its most popular amplifiers, with the new APA102BT Class D Stereo 60 WPC Bluetooth Amplifier, and launched the new DTA Pro, a complete amplifier with Bluetooth, USB DAC, and wireless remote control. Control surfaces are never enough and Studiologic, the famous Italian manufacturer of digital musical instruments, master keyboards and MIDI Controllers offers one of the most compact and versatile solutions. 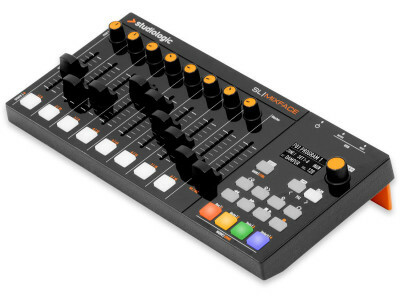 The SL MixFace is a complete by using Bluetooth and USB portable controller device with a powerful engine, able to auto-map any of the main DAWs. 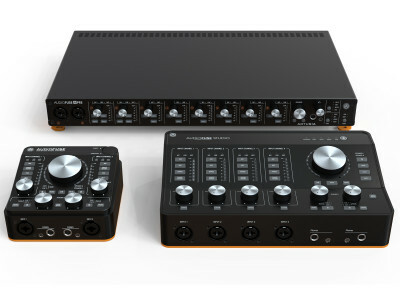 Announced at Musikmesse 2018 and now shipping all over the world, the Studiologic SL MixFace will be in Anaheim, California, for the Winter NAMM Show. Dayton Audio introduced the updated DTA-2.1BT amplifier, a compact and lightweight Class D design that is perfect top bring new life to existing passive speakers. 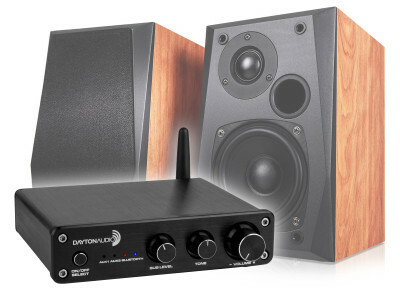 The DTA-2.1BT is able to adequately power most speakers, and also a passive subwoofer, allowing users to create an inexpensive and high-performance 2.1 set up for any office, bedroom, or small home theater. For just $99.00, it offers Bluetooth, RCA, and 3.5 mm inputs, and now features a crossover adjustment on the front panel. 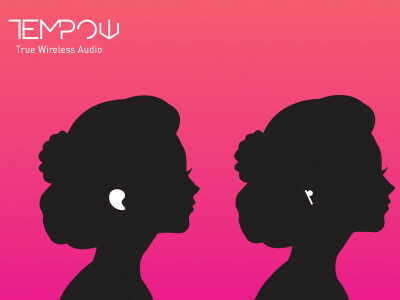 As audioXpress previously anticipated, French wireless audio pioneer Tempow has been developing a new technology approach to bring next-generation True Wireless Stereo (TWS) to the Bluetooth earbud mass market. Tempow's hardware-agnostic solution lets any smartphone manufacturer create wireless earbuds with near-zero latency, increased battery, and high fidelity, in alternative to proprietary or non-standard Bluetooth solutions. 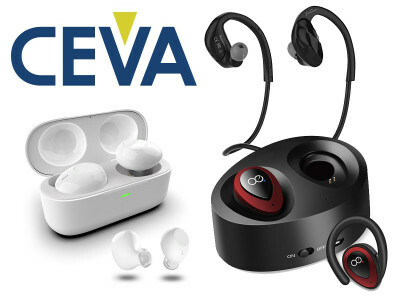 CEVA, the leading licensor of signal processing platforms for connected devices, along with French wireless audio pioneer Tempow, unveiled a collaboration to bring next-generation True Wireless Stereo (TWS) to the Bluetooth earbud mass market. As mentioned in a recent article by CEVA's Marketing Director, Franz Dugand, the resulting joint IP solution delivers synchronized left/right audio over standard Bluetooth dual mode connected links with short latency and without the power consumption penalty associated with many of today’s TWS implementations. 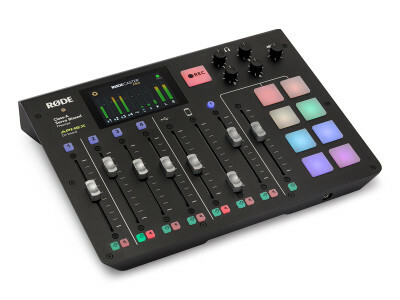 Australian pro audio giant, Røde Microphones has launched the RØDECaster Pro, a fully integrated podcast production studio that fits nicely with the brand's microphone portfolio and includes audio processing technology from Aphex, the famous US audio company which the Freedman Group acquired in 2015. This is the first time that assets from Aphex make an appearance since the acquisition and the synergy couldn't be stronger, given the legendary reputation of the Aphex Exciter and Big Bottom patented processing technology for radio applications.